We're still going strong with our preseason edition of "Is It Legit?" 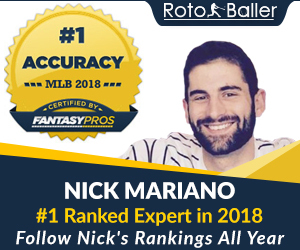 to discuss a surprising breakout performer from the 2018 MLB season in order to assess his value heading into 2019. After an uninspiring 32-game debut in 2017, Cardinals outfielder Harrison Bader was a fantasy darling last season. The speedy centerfielder slashed .264/.334/.422 with 61 runs scored, 12 home runs and 15 stolen bases. Now, the fleet-footed outfielder has an ADP in the 150s. 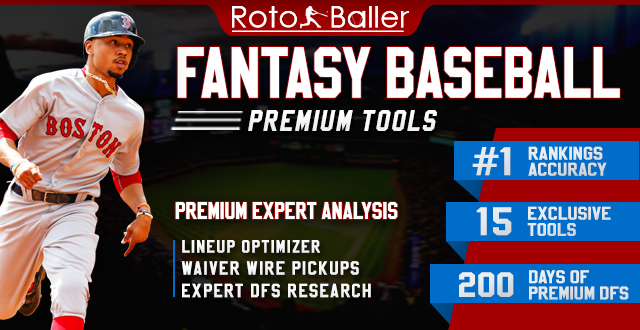 Will Bader be able to bring back the kind of value fantasy owners are banking on, or is he destined to bust? Bader seemingly came out of nowhere last season. Many considered him a future fourth outfielder, but instead he took the reigns in center field and posted very solid offensive numbers, flashing plus power and plus-plus speed. While it seemed like a surprise, Bader's minor league numbers certainly back up his performance. In 2017, Bader his 20 home runs and swiped 15 bases in Triple-A before his 32-game cameo in the show. Prior to that, Bader hit 19 home runs and stole 13 bases in 2016 split between Double-A and Triple-A. Point is, that power/speed combo has been there for a few years, and it's not a shock it translated over to the big league level. Additionally, Bader is St. Louis' best (only?) option in center field. Yes, the corpse of Dexter Fowler is still on the roster, but he shouldn't see any time in CF anymore. Only his glove and clubhouse presence (and inflated contract) is keeping him in the lineup on a semi-regular basis. 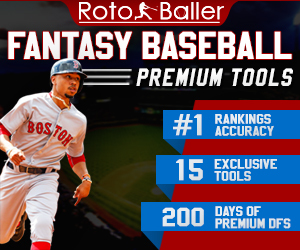 The younger Bader is an elite defensive outfielder, which should allow him to earn the lion share of at-bats up the middle - a huge boost for his fantasy value. What's the catch? Well, Bader can't really hit right-handed pitching. In the NL Central that only features four left-handed starters, this is going to be a problem. Bader posted a lowly .695 OPS against right-handers last season, compared to a hearty .886 mark against left-handers. He also posted ghastly strikeout numbers against right-handers, including a 35+% strikeout rate against fastballs, breaking balls and offspeed pitches when offered by right-handers. That led to a 31.1% strikeout rate on the whole against righties, which is a concern. He still slashed an okay .251/.317/.378 against them, thanks to a .354 BABIP. Of course, Bader's speed could keep that BABIP up in that range, but .251/.317/.378 isn't going to win people a lot of fantasy leagues. Basically, this dude cannot hit anything thrown by a right-hander, and it seems unlikely that things will improve in 2019, especially considering those trends were present throughout his time in the minor leagues as well. Despite the offensive struggles, Bader's volume of at-bats (thanks to his defense and speed) should allow him to approach a 15/15 season, even if his strikeout issues continue. He won't be an asset in terms of batting average or RBI but he should score his share of runs if he can find his way toward the higher end of the lineup. I think his current ADP (155) is a tad high, but I like him near the end of 12-team leagues using 5x5 scoring for his tools.